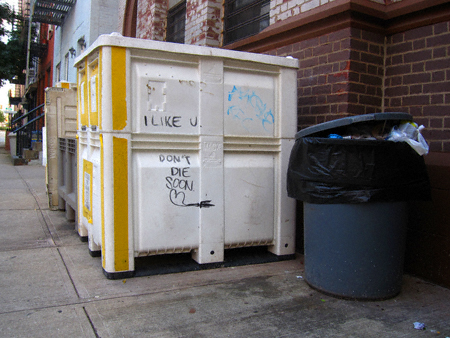 From a garbage container on 49th Avenue, Long Island City. That’s unbelievably sweet. No one has ever said that to me *sniff*.